Available in both natural aluminium and black the Supaclamp will clamp onto round poles up to 50mm and flat surfaces up to 35mm thick. Doughty engineering manufacture a range of accessories and spigots that snap into the supaclamp to hold lights etc. 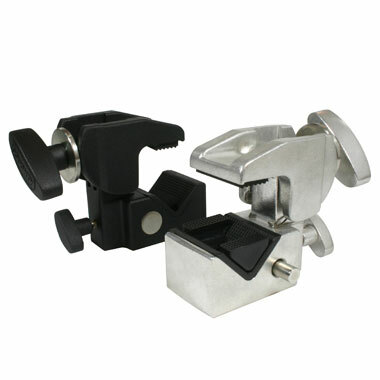 These accessories can be quickly release by pressing the quick release knob on the side of the clamp, a thumb screw secures the spigot once fitted.